You may not see it, but you most certainly feel it. There is a strange musty smell around the house and everyone sneezes and coughs more often than usual. Mold is a major problem for many households, especially when it lurks inside the air ducts of the HVAC system. It is often difficult or impossible to notice it with basic torchlight inspection, but it gets pumped into the rooms constantly. It is important for you to realize the seriousness of this issue so that you can take effective combating measures including, but not limited to air duct cleaning. Learn more about the threats that it poses to your property and loved ones. Mold is fungus which grows on warm surfaces when there is moisture present as well. One of the first things that it does is to harm the surface it's on. It can cause serious damage to the coating of the ductwork and to the sealant as well. 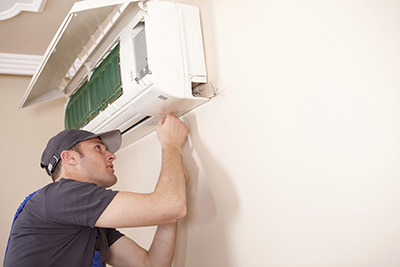 In such cases, timely air duct coating repair and sealing will be required. Depending on the material which the ducts are made from, mold can harm them as well. Sometimes, the damage is so great that the only solution left is for the ductwork to be replaced. In general, the extent of the effect on the surfaces will depend on the type of mold and on the nature of the growth. The specialists of our air duct cleaning company in Palo Alto recommend thorough inspection for determining the precise cause and extent of the damage and the best course of action. The most serious problem comes from the fact that mold is a powerful allergen. It can cause allergies in all inhabitants of the house, with children and the elderly being the most vulnerable. This condition is associated with a variety of symptoms from runny nose and itchy eyes to sore throat and coughing. While medical treatment will help reduce these symptoms, the constant presence of the allergen in your home will prevent complete recovery. That is why, if you confirm that there is mold inside your HVAC system, you must take action immediately. The contaminated surfaces must be treated with UV cleansers and special sanitizing materials, that is if the ducts still are in good enough condition. If they have been damaged, they will have to be fixed or replaced first. Additionally, keep in mind that air duct sanitizing is essential as a final touch-up, as it will help lower the risk of mold growth in the future. It is important to note that mold removal and surface sanitizing are just the primary stages in solving the problem. An in-depth inspection should be performed in order to determine what the roots of the mold growth are. 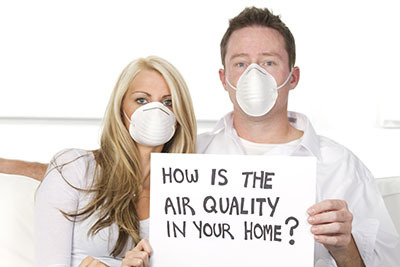 Let our team of technicians from Air Duct Cleaning Palo Alto give you a hand in this process!